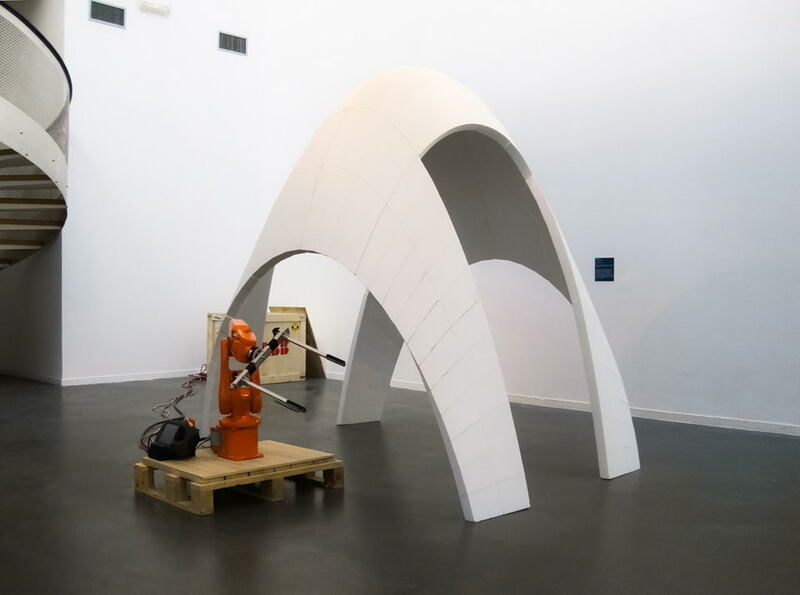 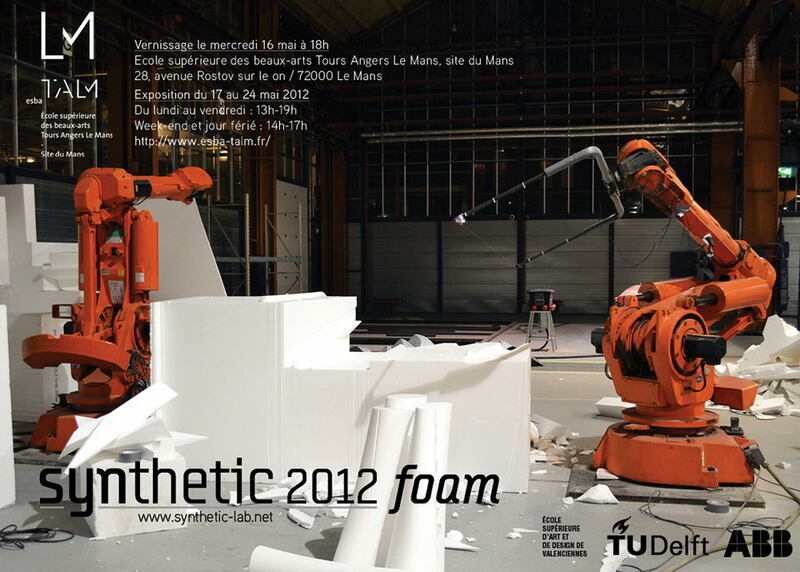 A second Automated Foamdome prototype has been shown during the Synthetic 2012: Foam exhibition @ ESBA Le Mans (France) organized by Felix Agid & Christian Morin / ESBA TALM. 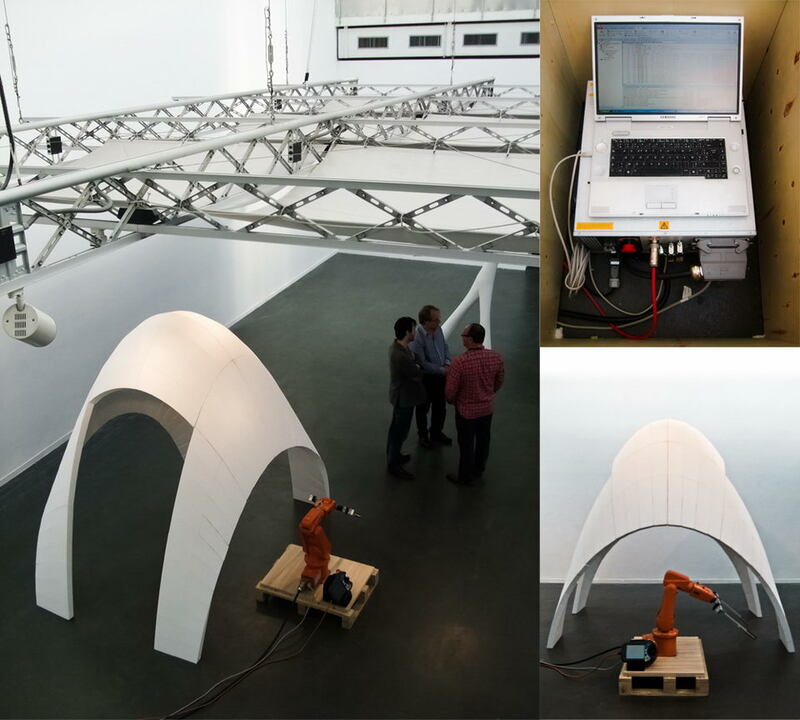 To read more about the fabrication process of the Automated FoamDomes #1-2, see the P9 – Automated FoamDome project. 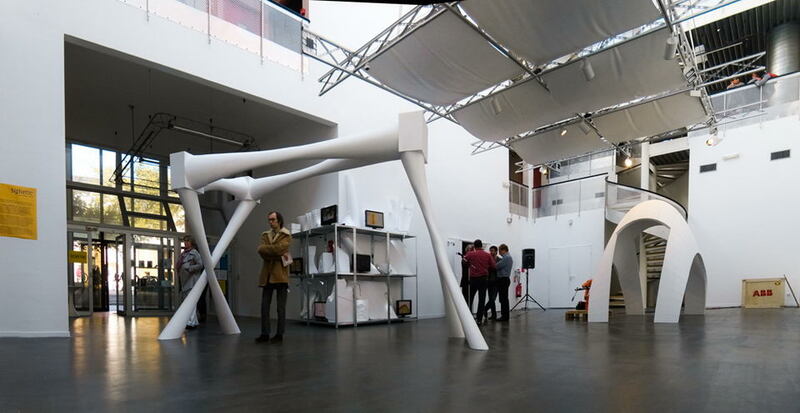 Numerous prototypes manufactured using robotized hot wire cutting produced during workshops at TU Delft and ENSA Paris-Malaquais using the HAL plugin I developed were also exhibited.